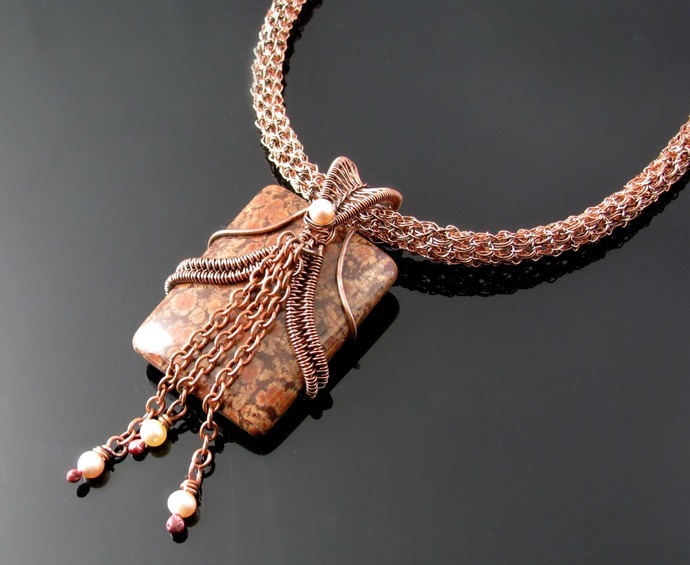 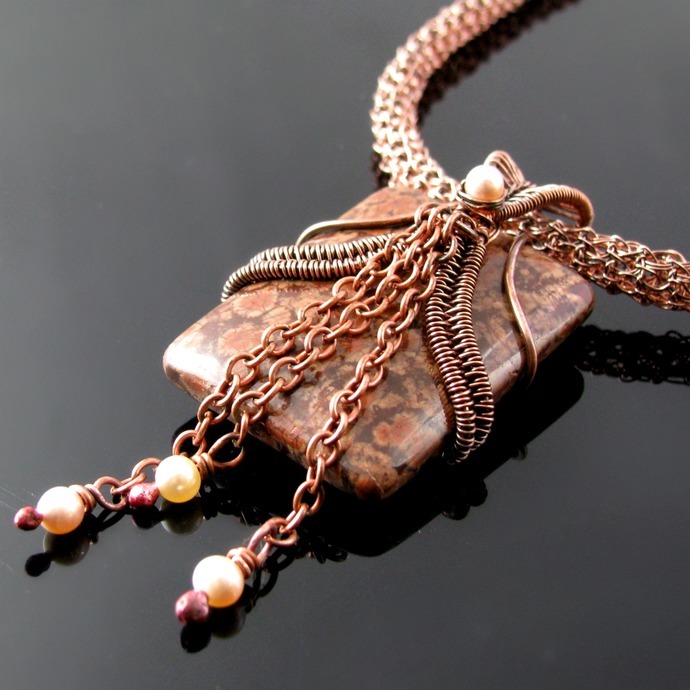 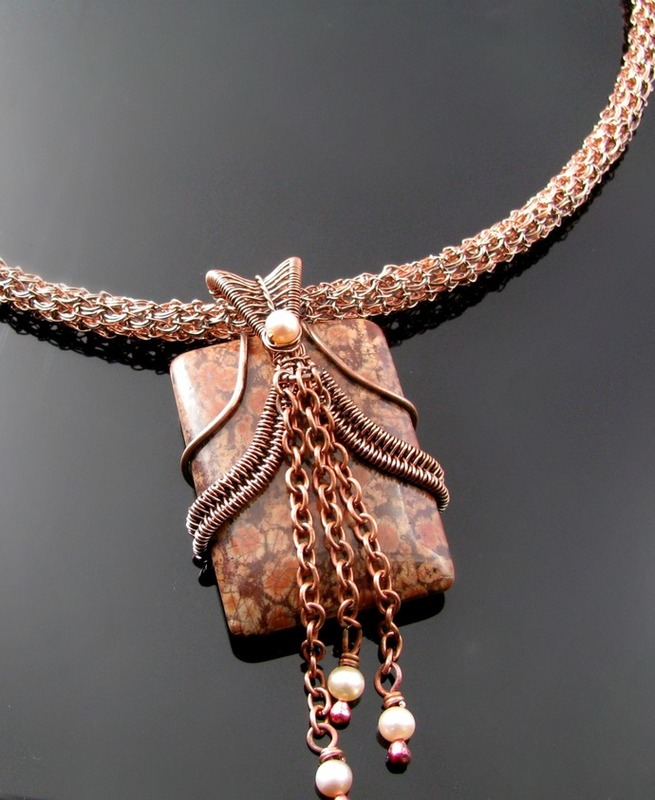 A beautiful rectangular stone is accentuated by clear lines woven from oxidized copper. 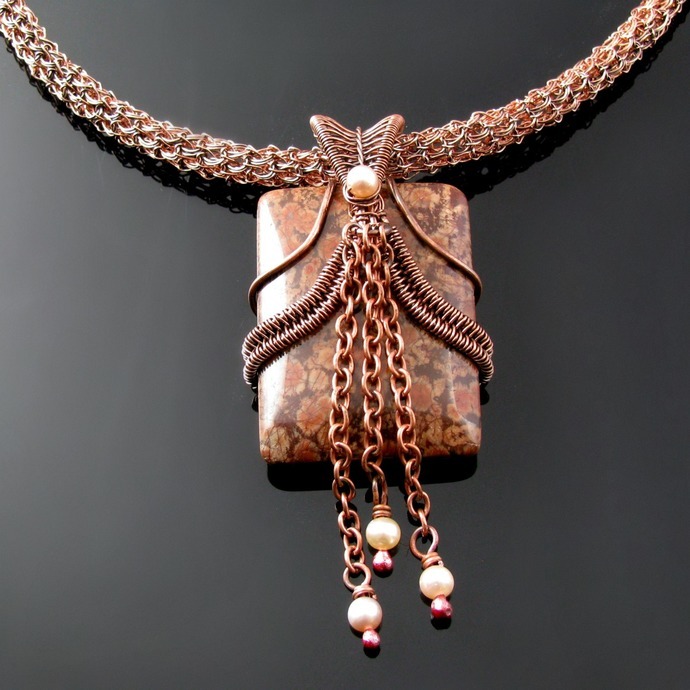 The woven bail is embellished with a pearl, three pearls dangling from chain add movement. 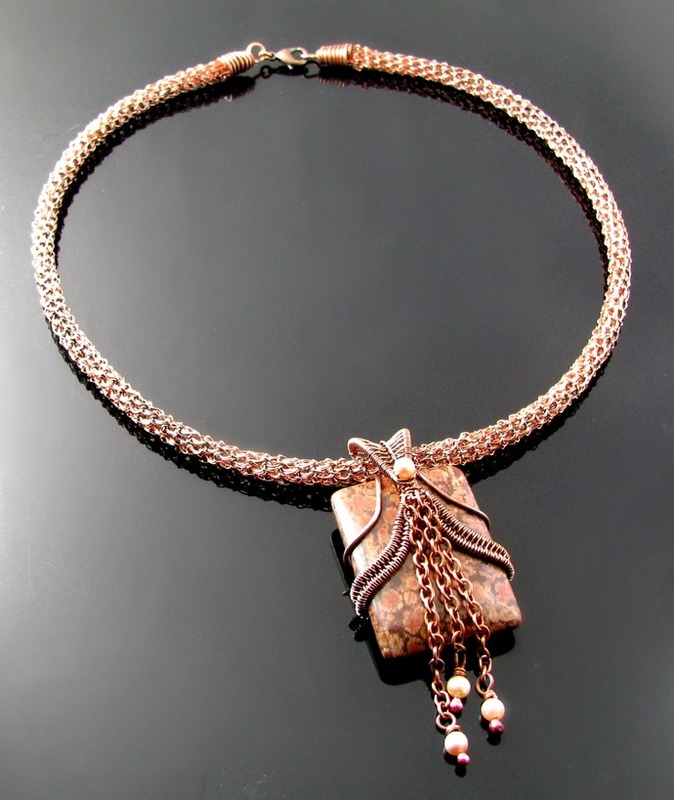 I can't be sure, but I think the stone could be fossilized coral judging from his flower like pattern. 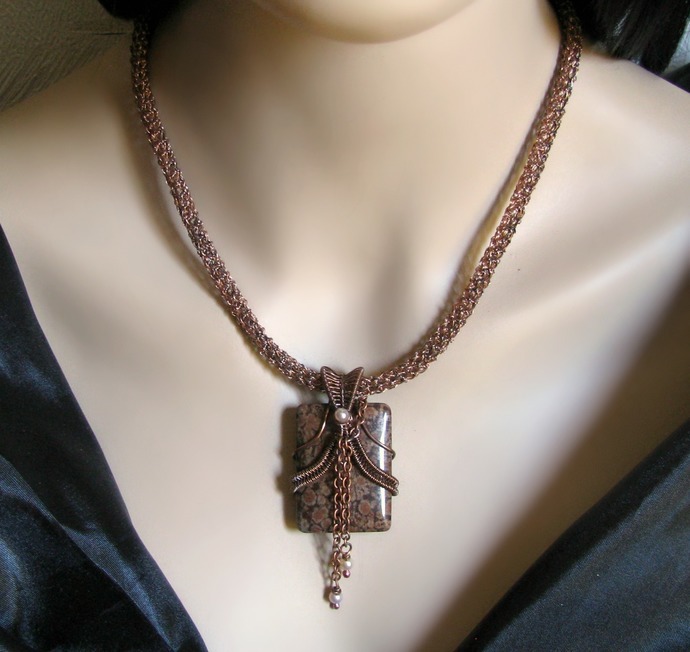 The pendant is 7.5 cm or 3 inch and comes on a hand crocheted flexible rope of 46 cm or 18 inch length.